MGAHV Admission 2018 – Mahatma Gandhi Antarrashtriya Hindi Vishwavidyalaya has released notification for admission to the various UG/ PG/ Diploma and certificates programmes for the academic year 2018-19. 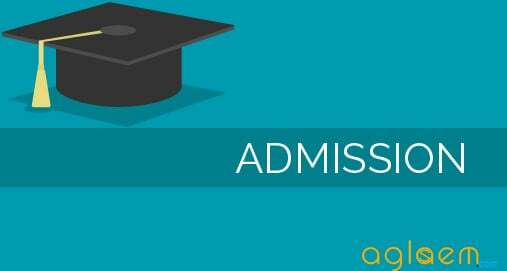 Interested candidates can read the necessary detail regarding MGAHV Admission 2018 such application form, eligibility criteria, selection process etc. on this page. Latest: List of selected candidates of the second list and waiting list for Phil. Language Technology and M.Phil. Mass empty has been released, scroll down to check the same. Candidates seeking admission in MGAHV Admission 2018 can fill their Application Form as per scheduled date. Candidates are advised to read carefully all the details of MGAHV Admission 2018 before submitting the application form. 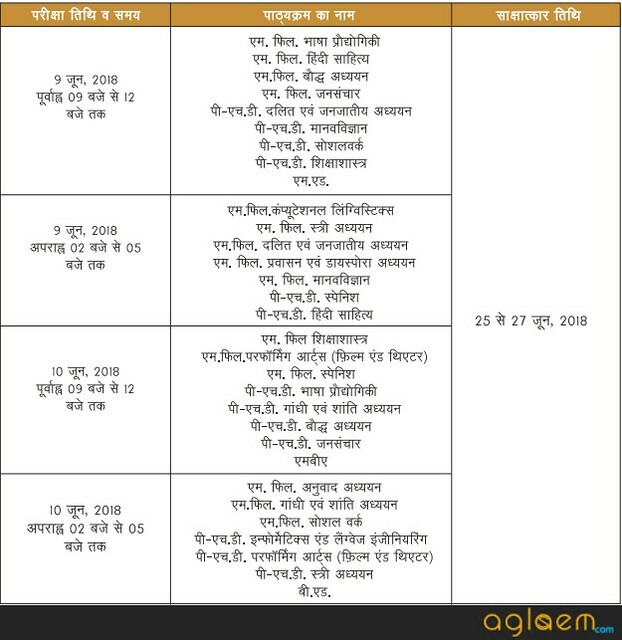 Schedule for MGAHV Admission 2018 is given below. Check here vacant seats of Phil. Language Technology for the selected candidates of the second list and waiting list. Check here seats of M.Phil. Mass empty for the selected candidates of the second list and waiting list. Click here to check the notice regarding increase in seats for M.A. in Performing Arts. Click here to check Information regarding MPhil / M.Ed. Written re-entrance examination (2018-19) Literature School Held in Language School Building location. Click Here to check the Information for 31 vacant seats of M.Ed. Click Here to check the admission notice for M.Phil. After the successful conduction of the written examination, the MGAHV releases the list of candidates who have qualified the written test. The qualified candidates can be called for the Interview as per the schedule. The Final Merit List is prepared on the basis of performance of candidates in the Interview round. It has also been uploaded to the official website of MGAHV. 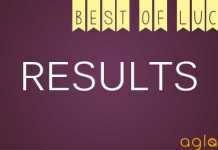 A direct link to check the MGAHV Result 2018 is provided here. Click Here to check the third and waiting list of selected candidates for M.Phil. Hindi Literature. Click here to check the list of selected candidates against vacant seats for M.Phil Anthropology. Click here to check the list of selected candidates against vacant seats for M.Phil Mass Communication Kolkata centre. Click here to check the list of selected candidates against vacant seats for M.Phil. Click here to check the list of selected candidates for Foreign Language and International Studies Center. Click here to check the list of selected candidates called for re-interview for vacant seats in M.Phil programme. Click here to check the second list of selected candidates for entry to B.Voc Acting and stage configuration. Click here to check the second list of selected candidates for entry to B.Voc filmmaking. Click here to check the second list of selected candidates for entry to M.A. Performing arts (film and theatre). Click Here to check the Second and waiting list of selected candidates for various courses. Click Here to check the final merit list of candidates selected for various courses. Application Form of MGAHV Admission 2018 is available on the official website at www.mgahv.in. Candidates can also fill the downloaded application form through the link given below. Click here to download the application form for MA, BA Diploma in Certificate(2018). The application fee for the GEN and OBC candidates is Rs. 300/- and application fee for the SC/ST/PWD candidates is Rs. 200/-. And 25 USD for international Candidates. The candidates can submit the application fee through Debit card/ Credit card/ Net Banking. You can apply online by visiting the website www.hindivishwa.org. The eligibility criteria for the MGAHV admission 2018 has been given in the frame candidates are advised to check the criteria in order to fill the form. The candidates who are not eligible need not apply. The Admit Card for the Written Exam for each course is expected to be released online few weeks prior to the date of the written examination. The Admit card shall contain the information about the candidate’s name, roll no. photograph, exam center and date/time of the exam. Candidates can download the admit card from the official portal of MGAHV. We will also provide the direct link to download MGAHV Admit Card 2018 here as and when it released officially. The candidates shall strictly carry the Admit card to the Examination center as indicated on the Admit Card. No candidate will be allowed to appear in the written test if he/she does not possess a valid Admit Card. 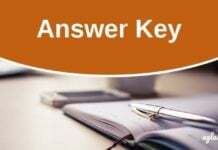 MGAHV has released the answer key for the Common Admission Test held for B.ed & Integrated B.ed M.ed, M.Phil / Ph.D. Those candidates who have appeared in the examination can check the Answer Key using the direct link as provided below. For More Details Regarding MGAHV Admission 2018 – Download Information Brochure.